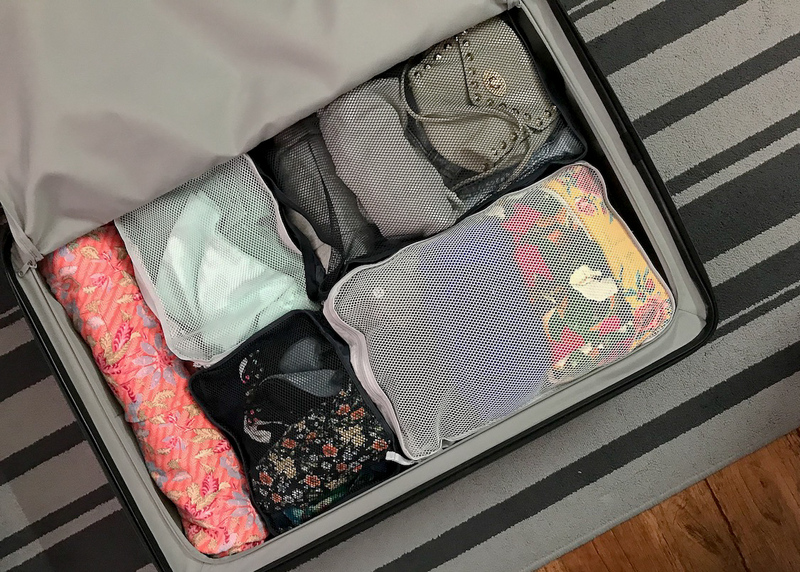 You don’t travel around the world for nine months without picking up some practical packing tips! Whether you are travelling with a backpack, or with a suitcase, here are my top ten packing hacks to help you save time, space and money. If you’re flying on a budget airline, it’s a pain to have to pay extra for everything – including each piece of checked luggage. Steve and I were annoyed with having to pay double for checking in one bag each so we began to consolidate our two backpacks into one! We transferred my heaviest and bulkiest items into Steve’s backpack, and used mine as the free carry on option. As a result, we only had to pay for one checked baggage instead of two. For the final portion of our travels, we made the practical decision to switch from two backpacks into a single 104L suitcase – generously provided by MUJI on Robson Street in Vancouver – officially sharing our luggage so we wouldn’t need to pay double for our airline baggage. It’s been nice to wheel around our luggage, rather than carrying it on our backs, and the built-in lock for safety was also something we didn’t have before with our backpacks. Packing cubes help compress and organize the stuff inside your bags. Instead of rummaging through your suitcase or backpack, everything is neatly compartmentalized, so you only have to yank out one cube, rather than digging through your entire luggage for a single item. Packing cubes work equally well for backpacks or suitcases, however, for the tidiest fit, Muji packing cubes are designed to fit perfectly into their suitcases, keeping all your cubes neatly organized. When travelling, I’m a big fan of products that have multi-style or multi-purpose uses. 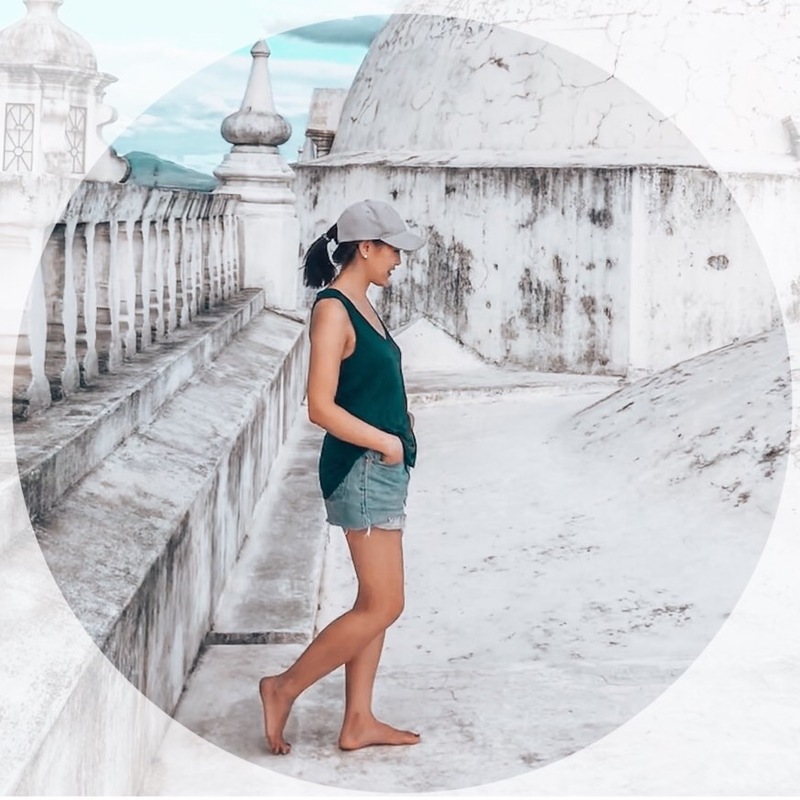 Bras with convertible straps, dresses that can be worn in multiple styles, compressible jackets, those examples of items ideal for travel for saving space. Books are heavy! Instead of bringing a physical travel guidebook or novel for vacation reading, consider investing in an e-reader, or buy the downloadable version of a guidebook. No need to bring bulky, full-sized beauty or skincare products with you on vacation. All those beauty and skincare samples you have lying around but never used? Bring them with you and use ’em up. 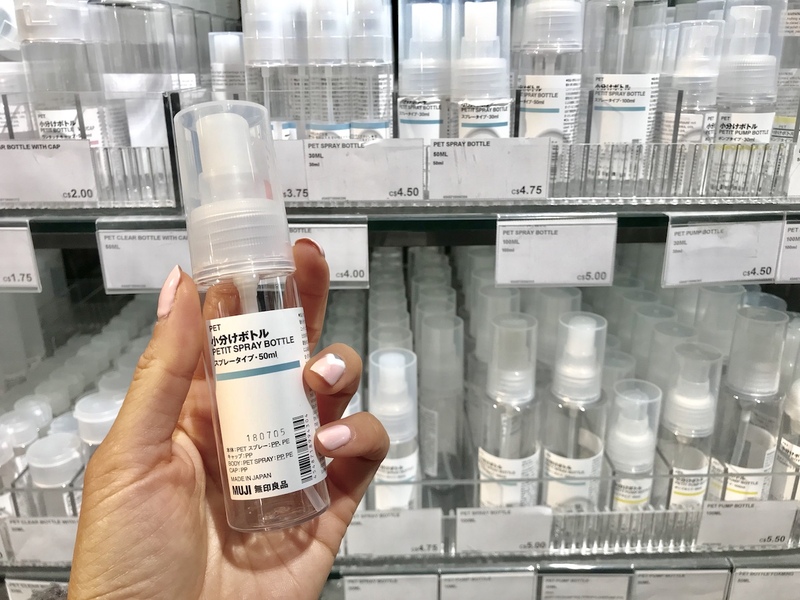 If you don’t have product samples, you can buy small TSA-friendly plastic bottles for a couple of dollars and transfer your regular-sized products into smaller containers. For items which are prone to leaks – including contact lens solution, nail polish remover, facewash and liquid soap — pack them within a Ziploc bag, or any other sealable, waterproof bag. If in the unfortunate case one of your liquid items get damaged during transport (which has happened to us more than once) the rest of your items will remain unharmed from leaks. The key to maximizing space is to use up every nook and cranny in your luggage so there’s no wasted space. One area that often gets underutilized is the space inside your shoes. If you are in need of a little bit more space, stuff your socks into your shoes and free up space for something else. If shopping is something you look forward to while on vacation, chances are, you’ll end up bringing home more than what you started with. You can either pack a suitcase within a suitcase, or, bring a foldable duffle bag that you can use at the end of the trip to put in excess purchases. Save the locked space inside your luggage for your clean clothes and valuables, and keep your dirty laundry on the outside. No one will steal your dirty laundry, and you are also separating your dirty clothes from your clean ones. Essential items will be different for everyone depending on your priorities, but for me, underwear, glasses and contact lens solution are my priorities. 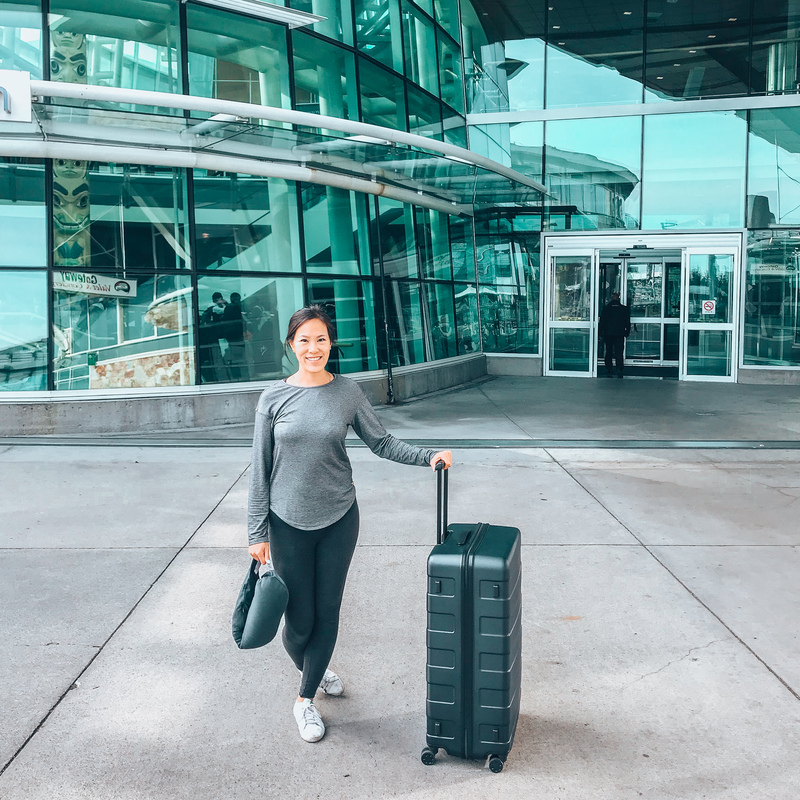 We’ve had to deal with lost luggage twice on our travels — had I packed my essentials with me on my carry on, I would have saved a lot of time running around in a new city re-buying my necessities. Our luggage for the final portion of our Round the World trip was generously provided by Muji Canada on Robson Street in Vancouver. The 104L suitcase is from their “MUJI to GO” travel collection, which you can find inside regular stores and also airports and train stations around the world.